PSB & Interplay's artistic dance instructors are highly qualified and among the finest from diverse professional backgrounds, including graduates of teaching programs from the National Ballet School, Ryerson University, and York University. Read their bios below. Karen is a graduate of the National Ballet School’s teacher’s training program and is accredited by the Royal Academy of Dance and the Imperial Society of Dance. 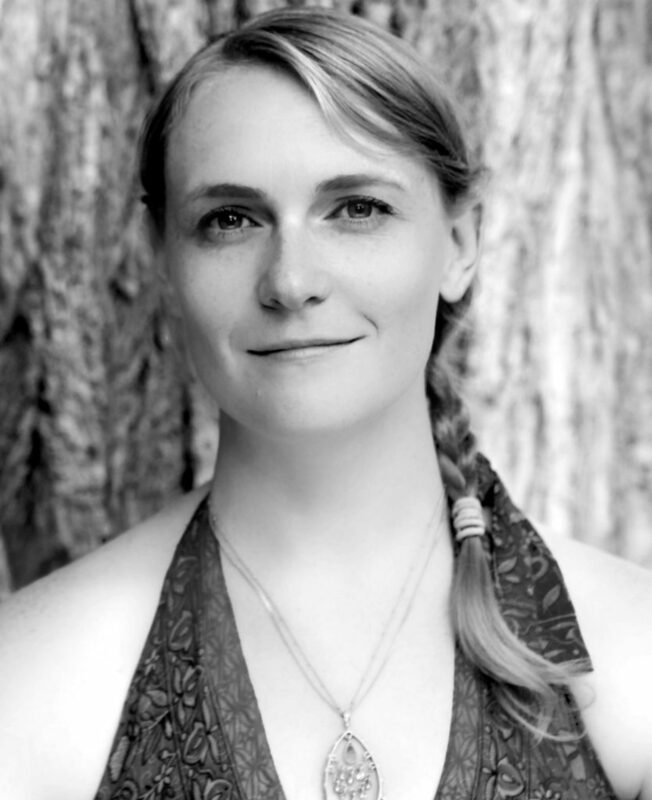 After travelling and training and touring with the Toronto Dance Theatre and dance companies in Europe & Japan, Karen returned to Canada to complete her Bachelor of Fine Arts Honours Degree at York University, during which time she performed throughout Ontario with the York Dance Ensemble. Her teaching experience includes, among many other schools, The National Ballet School of Canada, Ballet Jörgen and George Brown College, York University, Ryerson University, L’école superieure Méditerranéenne, Quinte Ballet School, Claude Watson Program for the Arts at Earl Haig Secondary School, Mooredale House, Branksome Hall, and Bishop Strachan School. 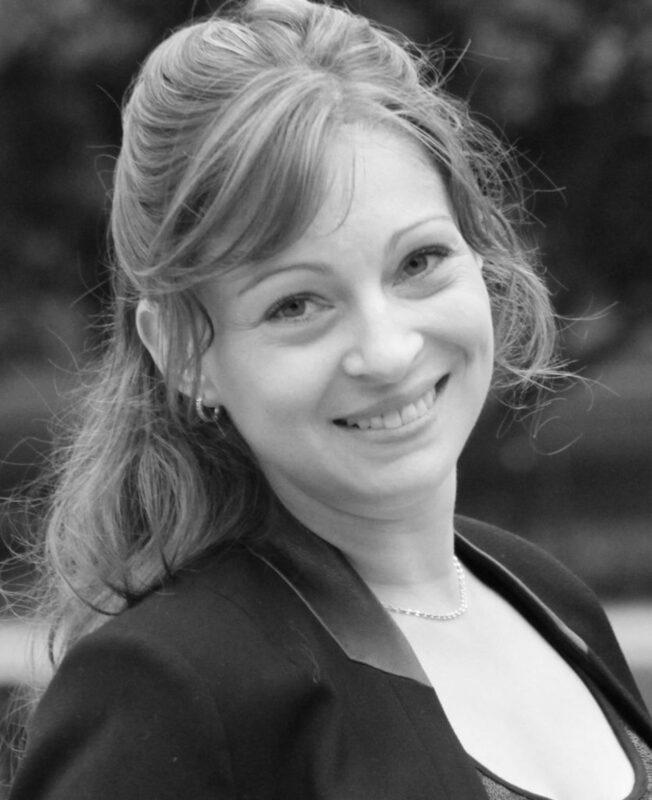 Karen has adjudicated in local competitions in Toronto and throughout Ontario. Karen has trained and worked with renowned choreographers like Betty Oliphant, Carole Chadwick, Glenn Gilmour, Mavis Staines, Jean Geddis, Deborah Bowes, Kenny Pearl, Darrel Tracey, Pat Miner, Pat Fraser, Karen Duplisea, David Earle, Holly Small, and Donna Krasnow. 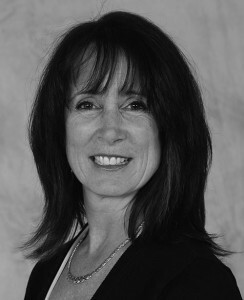 Karen founded the PSB Dance Academy in 1989 and was formerly Associate Director of Interplay School of Dance, where she taught for many years and built a strong Modern Dance program and formed Interplay Dance Company. She acquired ownership of Interplay School of Dance when founder Anna McCowan Johnson retired in July 2006. Karen is married to Joel Thomas and has three children: Dylan, Celine, and Julie. Her two daughters are enrolled at PSB, and just might be following in her footsteps. Born and raised in Calgary, Alberta, Bretonie began her dance training at the age of three. Her artistry and passion for dance grew into something that could not be ignored. As a young dancer her determination was something to be admired. Before graduating high school she had already performed on a cruise line, was chosen to travel and perform in a professional choreography competition, and danced and trained with the best in Seattle, Los Angeles, New York, and London, England. She was recognized as a scholarship recipient at numerous conventions and received the title “Dancer of the Year” at ADA dance competition in Calgary. She moved to Toronto, Ontario at the age of 17 to pursue her career in dance. The new city broadened her spectrum of dance and she was able to perform in the genres of Hip Hop, Contemporary, and Street Jazz, to name a few. Bretonie has appeared in Music Videos (Shawn Desmond, Blake McGrath, Young Avs) on Television (MTV, Love Trap) on stage in countless productions (A.C.E Awards New York, Toronto’s Choreographers Ball, I Move Forward etc) and even on the runway (Alternative Fashion Week, LG Fashion Week). This past year she has worked extensively as both a dancer and a teacher. June marked the beginning of her professional weekly open class ran out of RightFoot Studio, one of Toronto’s thriving hubs for urban dance. She has also been welcomed on the faculty of Fresh Dance Intensive which has allowed her to teach all over Ontario. As a dancer she was welcomed as a part of Jasmyn Fyffe Dance Company and was a part of the award winning production of “Pulse” in Montreal Fringe. She is also currently working with RiaToss Productions on their re-installment of the successful show “Marina Antoinette”. Whether it be teaching or performing, Bretonie has found great joy in the art of dance and hopes to spread this joy at every opportunity. Mackenzie started dancing at the age of 8 in her home town of Calgary, Alberta, where she practiced dance forms such as Jazz, Tap, Ballet, Musical Theatre, Street Jazz, Hip-hop, Contemporary, Modern, and Lyrical. She was also a competitive gymnast until the age of 15. After high school, Mackenzie packed her bags and moved to Vancouver where she studied and performed at The Source Dance Company, which purpose is to encourage performance, stage presence, and an overall sense of individuality for dancers. After training and working in Vancouver for two years Mackenzie moved to Toronto to become a student at the Conteur Academy. She continues to reside in Toronto and is currently training as an apprentice with The Conteur Company for the upcoming 2013 season. In the past couple of years she has built a long list of live performances and music videos to her credit and continues to work in the industry. Mackenzie has taught throughout many of her travels and will always love the opportunity to work with young dancers. Originally from Saskatchewan, Kimberley moved to Vancouver in 2010 to follow her dreams and pursue a career in dance. She was accepted into the Intensive Training Program at Harbour Dance Centre where she trained in many different styles and immersed herself into the Vancouver dance scene. The following summer she was accepted into the prestigious Source Dance Company under the direction of Joanne Pesusich. She completed two seasons performing and touring with the company, working with choreographers from all over North America. After 5 years of training, teaching and working professionally in dance and acting in Vancouver, Kimberley relocated to Toronto to continue to train and push herself in her craft because she believes you can never stop growing as an artist. Having extensive teaching experience in various styles of dance, Kimberley is thrilled to be a part of Interplay and cannot wait to share her passion with the students this season! Corinne has been dancing since she was 3 years old. She began her training at the Shelley Shearer School of Dance in Winnipeg where she practiced many dance forms such as jazz, tap, ballet, hip-hop, contemporary, modern, and lyrical. Corinne has been fortunate to live in several cities throughout her life, allowing her to dance at many different dance schools and experience the teachings of multiple dance teachers, including those at the National Ballet School and L’École supérieure de ballet du Québec during summer programs. It was this wonderful exposure to the vast array of teaching styles and techniques that inspired Corinne’s passion to teach dance. She is a graduate of York University with a Bachelor of Fine Arts in Dance and The National Ballet School’s Teacher Training Program. She holds a teaching qualification from the Royal Academy of Dance. She also holds her Cecchetti Advanced I, and Advanced I ISTD in National Dance. During her training Martine Lusignan was a full time student at L’École Supérieure de Danse du Québec and also at The National Ballet School where she trained in Classical ballet, Pointe work, Pas de deux, Modern technique, Flamenco, and Theater. Ms. Lusignan’s principal instructor was the master ballet teacher Mr. Daniel Sellier who has been mentor and teacher to countless professional dancers including Karen Kain. In 1999, after two seasons as a professional dancer with The National Ballet of Canada, Ms. Lusignan returned to Montreal. She later joined Les Ballets Jazz de Montreal with whom she toured international stages quite extensively. Subsequently, she went on to dance for several seasons with Les Grands Ballets Canadiens. In her career, she performed the work of many wonderful choreographers including Jiri Kylian, Ohad Naharin, George Balanchine, Crystal Pite, James Kudelka, Fernand Nault, Johanne Madore, Eric Bruhn, Kader Belarbi, Stijn Celis, Edgar Zendalas, Patrick Lafontaine, Mia Michaels, Helgi Tomasson, Jean Christophe Maillot, Didy Veldman, Joe Laughlin, Christophe Garcia and Renaud Doucet. In 2000, Ms. Lusignan co-founded the innovative company Corpuscule Danse after studying integrated dance with CandoCo, in England. As co-founder of the company she had many responsibilities not only as dancer, pedagogue, and choreographer, but also as chief administrator and Director of Production for six years. Martine also had the pleasure of working as a freelance dance artist for various other companies and choreographers. Ms. Lusignan has been teaching and choreographing for dancers, dance students of all ages and levels, as well as physically handicapped dance lovers since 1996. During her time with Les Ballets Jazz de Montreal, Martine took on additional responsibilities as a teacher and a ballet mistress on tour and at Domaine Forget for dance students. She taught at the Quinte Ballet School of Canada, Randolph Academy College and several other schools and pre-professional programs for dancers. Martine Lusignan’s pedagogical approach is proactive, positive, goal oriented, and motivating. In 2009, Martine participated in the founding of AHAC (Association of Health for Artists of Canada) and now sits on the board of directors. Recently, she graduated as a schoolteacher and teaches in the French School Board in Toronto. Shannon began taking ballet lessons at the age of 5 at Interplay. With the encouragement of founder Anna McCowan-Johnson, Shannon auditioned for and attended the National Ballet School, Quinte Ballet School and The Royal Winnipeg Ballet School summer programs. At age 16 she attended the full time professional program at the Royal Winnipeg Ballet School, where she participated in a program to introduce the professional students to teaching. It was during that program that Shannon developed her love of teaching ballet. 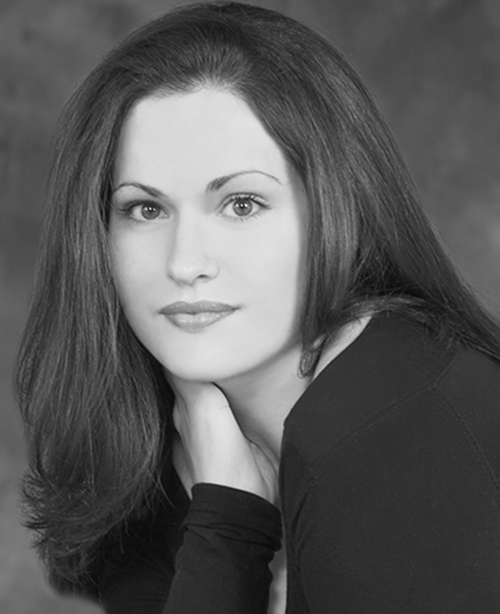 Shannon returned to Interplay and trained under the current Artistic Director, Karen Davies Thomas. She went on to attend Ryerson’s dance program. Shannon has completed all Royal Academy of Dance exams up to the Advanced level, and received Distinction on her Royal Academy of Dance teaching exam. She has also completed the elementary and intermediate Cecchetti exams. Shannon has performed in Summerworks, Ffida, a fundraiser with guest artist Evelyn Hart, and as a dancer for the Mississauga Symphony Orchestra, as well as other events. However, her passion is teaching ballet to young dancers, which she has enjoyed for over 10 years. John Ottmann’s career spans 30 years and encompasses the roles and responsibilities of a dancer, choreographer, teacher, rehearsal director and artistic director. He has garnered a reputation as a highly versatile dance artist and inspiring mentor known for pushing and crossing the boundaries of ballet and contemporary dance. A graduate of Canada’s National Ballet School, Ottmann has worked with several companies including the National Ballet of Canada, Ballet British Columbia, Fortier Danse Créations, Holy Body Tattoo, Mascall Dance and he co-founded the collective, Quorum. Ottmann has also taught and/or rehearsal directed for organizations including: Wayne McGregor’s Random Dance, Cirque du Soleil (“ZAIA”), Les Grands Ballets Canadiens, BJM Danse, La La La Human Steps, Coleman Lemieux Company, Compangnie Marie Chouinard, O Vertigo Danse, Royal Winnipeg Ballet, Toronto Dance Theater, Ballet B.C., Dutch National Ballet, Transformation Danse, Danceteq, Vancouver Ballet Society, Anna Wyman School of Dance Arts, Main Dance Bridging Program, Simon Fraser University, LADMMI, Ryerson University. Ottmann’s choreographic work has been featured at The Canada Dance Festival, the Vancouver International Dance Festival, the Vancouver Symphony Orchestra, The Fringe Festival Montreal, Dancing on the Edge Festival, and the National Ballet of Canada choreographic workshop. This past Summer John presented a new work at the ProArteDanza Summer Intensive where he has been part of the artistic and administrative team since 2012. As the Artistic Director of the Quinte Ballet School of Canada from 2009-2011 he implemented his progressive approach to teaching and mentoring dancers. 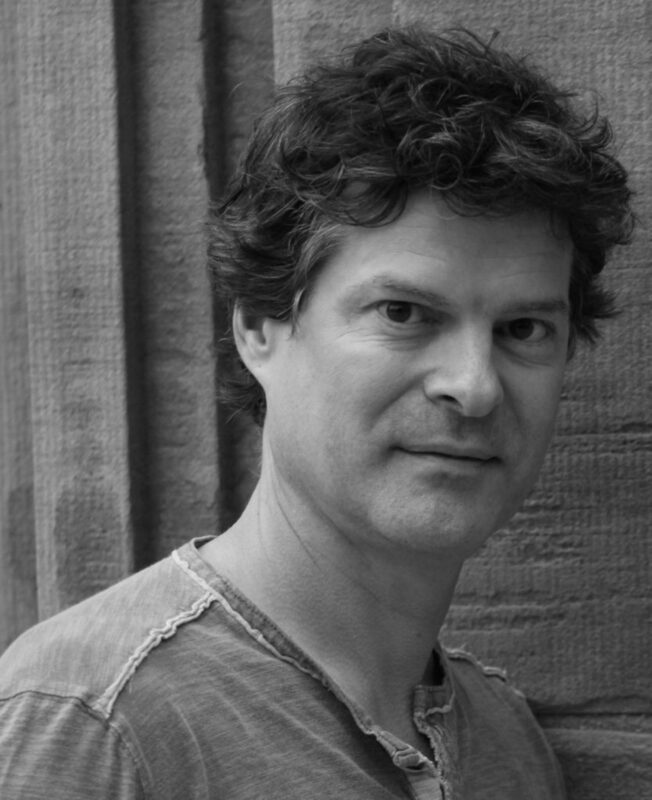 Currently Ottmann teaches at Interplay, PSB, Ryerson University and York University where he also completed a Master’s degree in dramaturgy for dance. Monique is an Etobicoke School For the Arts Alumni and a graduate of Ryerson University’s Theatre Dance Program. As an established Choreographer and an experienced dancer and teacher, Monique’s style reflects her technical background as well as her ability to fuse physical dynamics with organic expressiveness. Monique’s choreographic assistance was featured on CTV’s hit show, SO YOU THINK YOU CAN DANCE CANADA (Season 1-4). Monique has also had the opportunity to choreograph for film and Television shows such as BOMB GIRLS, AMERICAN PIE – BETA HOUSE and most recently worked with Canadian Actress SARAH GADON and the very popular JAMES FRANCO in Hulu’s mini series 11-22-63. Monique has choreographed and performed for many worldwide touring productions, from shows aboard Princess Cruise Lines to International sensations like GREASE and HAIR the musicals. Monique has also had the privilege to choreograph in the Opening Ceremonies for THE INTERNATIONAL CHILDREN’S GAMES hosted in Windsor Ontario as well as, most recently, the Closing Ceremonies of the 2016 PAN AMERICAN GAMES hosted in Toronto, Ontario. Monique is currently working on choreographing the Opening Ceremonies for FINA’s opening Gala, hosted in Windsor Ontario. As a dancer, Monique has toured internationally in the musicals GREASE and HAIR and has performed with many well known and exceptional artists such as JON SECADA, SEAN DESMOND and, at the time, DESTINY’S CHILD. She has performed in many Vegas stye review shows and lived in Los Angeles, California, for a short time, where she became assistant choreographer to Melissa Williams. Monique has taught in studios all across the country and has had many students go on to achieve outstanding and flourishing dance careers. Her choreography has won several awards and overall recognitions. Monique is constantly inspired by her students everyday and enjoys finding new ways to explore her creative boundaries through teaching and choreography. Jannine Saarinen is a graduate of the George Brown College Dance Performance Studies Program. She has performed for several excellent companies and choreographers, including Viv Moore, Marlee Cargill, and Company Blonde. In 2006, she began working under the name Jay9 Dance Projects to choreograph and produce modern dance works with a strong sense of characterization and narrative. Her choreography has been presented in the Made in the Canada/Fait au Canada WYSIWYG Series, Junction Arts Festival, SummerWorks Theatre Festival, Dance Ontario Nuit Blanche 2009, and many more. Jay9 Dance Projects has also produced two successful themed cabarets. 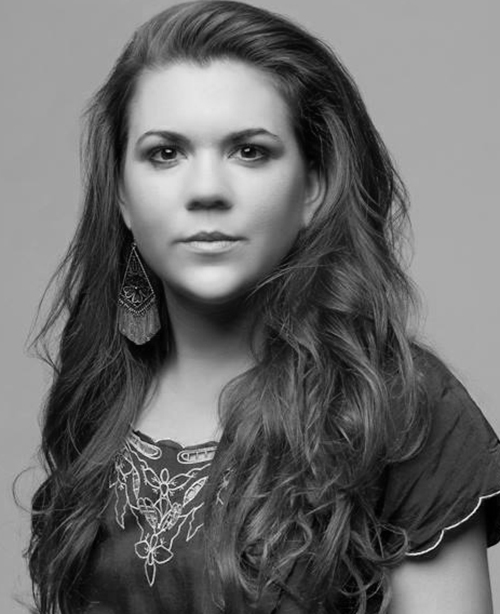 In addition to working on her own, Jannine has worked collaboratively as part of the 4 Starch Dance Collective. They presented work in Fresh Blood and 60×60, and were also participants of the 2012/2013 Series 8:08 Take 2 Residency. 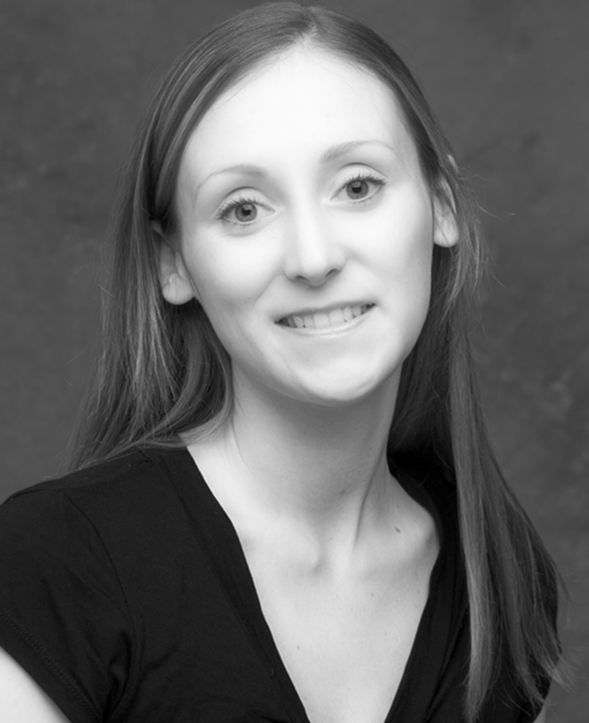 Jannine has been teaching dance since 2003, and has enjoyed the experience immensely. 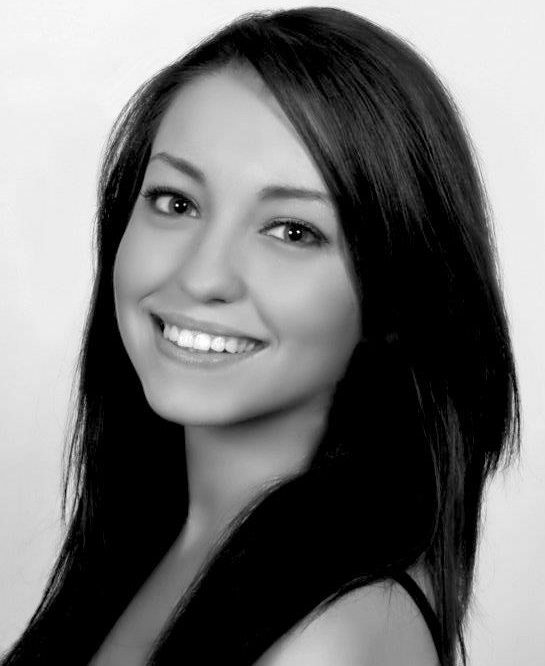 She currently teaches Ballet, Modern, and Musical theatre at PSB Dance Academy and Swansea School of Dance. In the past, she has taught at City Dance Corps, Martha Hicks, and Interplay School of Dance. She has been a guest teacher at Father John Redmond High School and Danforth Collegiate Technical Institute. In 2012 she was the lead dance coordinator for the Toronto Youth Ballet Ensemble (TYBE) helping to create a 45 minute ballet inspired by The Lord of the Rings. She is currently an Associate Member of the Canadian Society of Russian Ballet. Jannine is looking forward to whatever opportunities her career in dance brings next. At age 4, Lucie immigrated to Canada from Malta. Lucie was a competitive gymnast until her passion turned to dance. Her formal dance training started in New Brunswick with The Rothesday Ballet School at age 12. By age 17 she had completed all the RAD grades and majors up to Advanced. After dancing in several professional summer programs, including The Royal Winnipeg Ballet School, and performing in numerous musical theatre productions, she finished high school and came to Toronto. In 1992 Lucie graduated from the Teacher Training program at Canada’s National Ballet School, where she completed all the Cecchetti ballet exams up to Advanced. Miss Ward was awarded distinction in both ballet and National Associate teachers’ exams. During this time she trained vocally at The Royal Conservatory of Music. Further dance education included: The Randolph Academy for the Performing Arts, The Russian Ballet Institute (Vaganova Method), Ballet Jorgen, Metro Movement, The Joy of Dance, Canada’s National Ballet School and University of Waterloo. 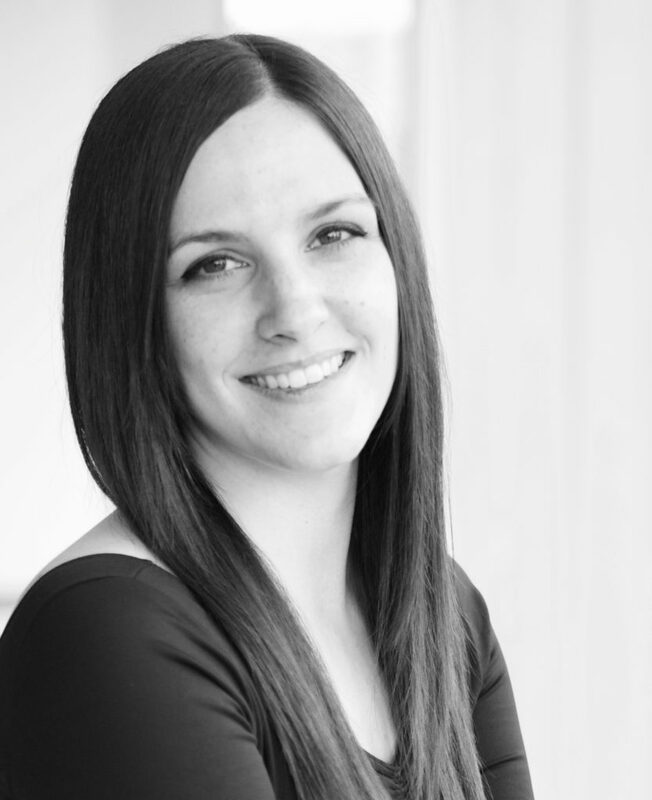 Lucie has been teaching ballet in the greater Toronto area: for over 16yrs at Interplay, Randolph School for the performing Arts, Bishop Strachan, Branksome Hall, Toronto Lawn and Tennis Club, Oriole Nursery School, PSB dance Academy and Canadian Dance Company. Lucie has performed, choreographed and guest taught in numerous Musical Theatre productions and studios across Atlantic Canada and Ontario. 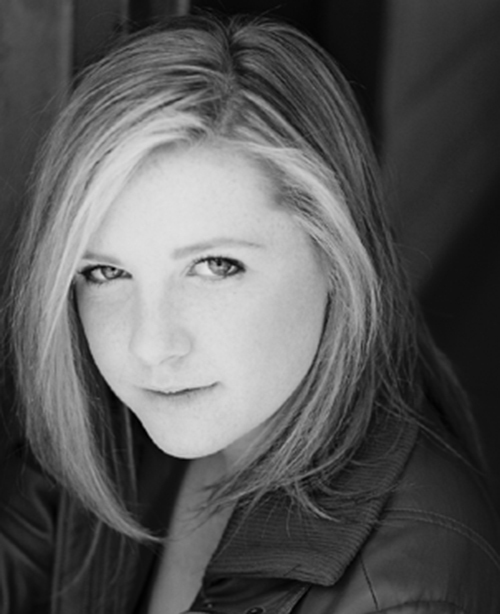 She has been featured on CBC radio, acted in commercials, and adjudicated competitions. In February 2005, Miss Ward was pleased to accept a position as guest National teacher at NBS through the Cecchetti Society of Canada and accepted a substitute teaching position for Teresa Randall (Junior Associates level 4 & 5) at NBS in the fall of 2005 and spring 2006. 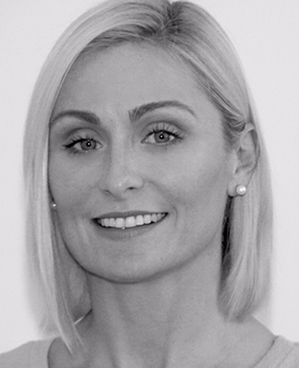 Lucie’s teaching career has done a full circle since her first job with Karen Davies Thomas at PSB Dance Academy in 1991 and is thrilled to work with Karen and the Interplay teams. 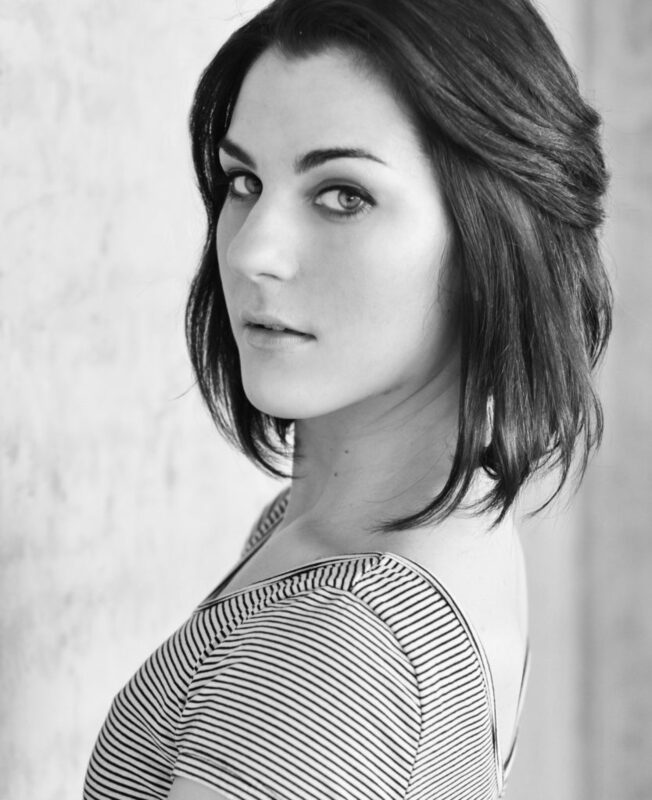 Rachel began dancing when she was 5 years old in her hometown of Cambridge, Ontario. Over the years Rachel’s accomplishments included: recipient of awards in ballet, jazz, tap, and lyrical from national and international competitions; completing Vocational examinations with the Royal Academy of Dance; performing at Disney World; and the recipient of a scholarship to train in New York City at a summer dance intensive with Jackie Patterson. She graduated from George Brown Dance with a diploma in Performance Studies and was able to work with teachers and choreographers such as Bengt Jorgen, Che Chun and his wife, former principal ballerina Chan Hon Goh. After college, Rachel performed as a lead dancer for Carnival Cruise lines. After returning to Toronto, she worked as an independent performer and trained at the Toronto Academy of Acting for Film and Television, which led to work in film and television. In June 2011 Rachel graduated from the three year Teacher Training Program at Canada’s National Ballet School. While at NBS, she was given several wonderful opportunities, such as teaching ballet for an outreach program with the Boys and Girls Club of Scarborough; was hired as a full-time ballet assistant for their 2010 Summer School and day counsellor the following summer; selected to teach for special events at NBS; and during her final year was hired to teach in the Associate Program. Rachel graduated from the TTP successfully completing her RAD Registered Teacher’s Status exams, Cecchetti Associate teaching exam, ISTD National Associate teaching exam and the Vocational dance exams within each syllabi. Currently Rachel is teaching throughout Toronto, applying all of the valuable knowledge, skills and experience she gained not only while studying at NBS, but also in prior years training and working professionally to her craft. Rachel has continued to develop her choreographic skills setting pieces for competitions and more recently has been asked to be assistant choreographer for the Hart House Theatre’s production of “The Great American Trailer Park Show.” Rachel is delighted to join the teaching staff at PSB. Chrissy trained in the Cecchetti method of ballet under Karen Davies Thomas, Jean Geddis and Glenn Gilmour, and has been dancing in the Toronto area for over 20 years. In 2004, she successfully completed the highest level of accomplishment in the syllabus, the Enrico Cecchetti Diploma. In the summer of 2007, Chrissy obtained her Associate, the first Cecchetti teacher's qualification. She has danced with PSB's Profile Dance Company for many years, performing numerous lead roles such as Juliet in Romeo and Juliet, the Black Swan in Swan Lake, and a dancing role of Carabosse in Sleeping Beauty, to name a few. In addition to Chrissy's accomplishments at PSB, she has spent time dancing with other companies across Canada and in Europe. She performed the role of the Sugar Plum Fairy as a guest lead for the Owen Sound Ballet and has danced with Ballet Jorgen's youth company. She has also danced for PSB's own Jannine Saarinen in a piece featured at a showcase of local choreographers in Toronto, and has danced with Thierry LeFloch at the Academie de Mediterranean in Marseille France. Chrissy has danced in western Canada for the Vancouver Goh Ballet, the Edmonton School of Ballet, and most recently in Ballet British Columbia's apprentice program. While pursuing her dance interests, Chrissy earned a Bachelors Degree in Computer Science and works full-time as a systems analyst. Ruby began her dance training at PSB Dance Academy in 1982, and trained intensely in Jazz, Modern, and Cecchetti ballet method (Advanced 1 level achieved) under the direction of Karen Davies Thomas, Glenn Gilmour, and Jean Geddis. At the age of 9 Ruby joined PSB's Profile Dance Company and began touring the province with the performance based dance troupe. Ruby continued to train for 12 years intensively in multiple dance styles with the Profile Dance Company and has won multiple group, trio, duet, and solo awards at competitions. 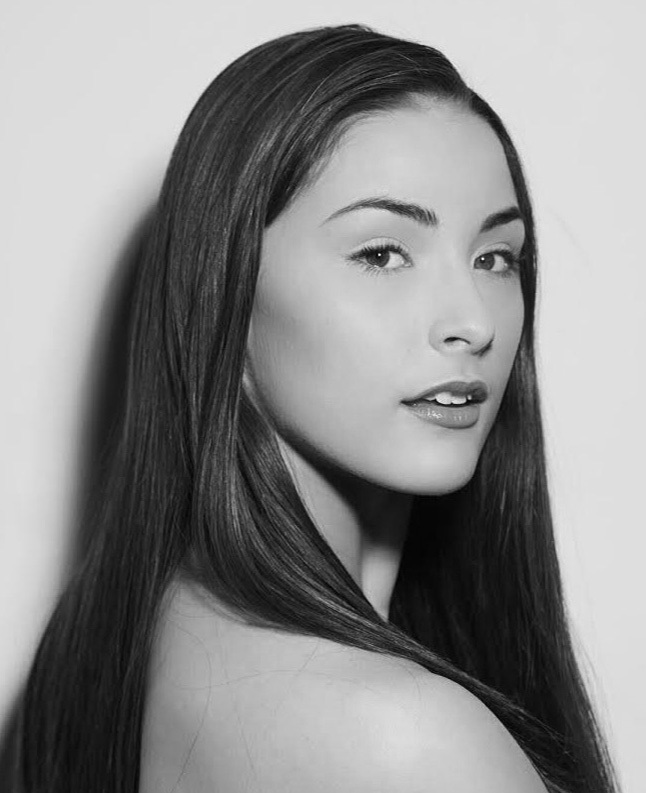 After graduating from PSB, Ruby trained at George Brown College in the Dance Performance Studies program. She then expanded into fitness, doing a co-op program at Extreme Fitness and then completing her Les Mills Body Flow Group Fitness Certification, Zumba Instructor Certification, and Bolly Fit Instructor Certification. Since 2010, Ruby has had many opportunities to perform as a professional dancer. She was accepted into the dance companies of Lady Luck Productions and RS Divas Dance Company. In the summer of 2011 Ruby opened her own entertainment and dance company, À GO-GO ENTERTAINMENT. Ruby has been assisting and teaching since 2004 in disciplines such as Hip-hop, Ballet, Jazz, Contemporary, Stretch and Strength, and Acro. Recently Ruby has worked at studios all over Toronto and the GTA specializing in Acro. Ruby is a NCCP Trained Gymnastics Coach with Gymnastics Canada. She constantly expands her knowledge of dance, gymnastics, and fitness in order to always improve on her teaching methods. She is excited to work with Karen Davies Thomas again and everyone at Interplay. Erin has been dancing since she was 3 years old. She began training at PSB at the age of 8 and was accepted into the Profile Dance Company at the age of 9. 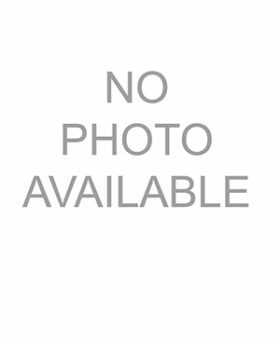 She has been trained in Cecchetti Ballet by Karen Davies Thomas and Glenn Gilmour and has attained her Advanced 2 Cecchetti. She is trained in jazz and lyrical technique by Christina Neves. Erin graduated with Honours from Cardinal Carter Academy of the Arts and was awarded the Dance Award in Grade 10. During her years at Cardinal Carter, Erin was trained in Graham and Limon Modern by Julia Lava and Marlene Engenheiro. She also danced the lead role in an original narrative, modern dance film, "The Marriage" choreographed by Julia Lava. In Grade 12, she choreographed a Fosse Jazz piece for Cardinal Carter's annual "In the Making" performance. Erin has also attended the National Ballet School of Canada's Summer Program. In 2006, Erin was a finalist at the CNE's "Rising Star" competition with the jazz trio "Feeling Good," choreographed by Christina Neves, and a semi-finalist in 2008 with the solo "Are You," also choreographed by Christina Neves. In 2006, Erin was awarded 'Best Technique" and 'High Senior Soloist' at the Muskoka Ballet Gala. She has performed various lead roles in PSB's performances, including Giselle, 'Aurora' and 'Lilac Fairy' in Sleeping Beauty, 'Swanhilda' in Coppelia, and the Sugar Plum Fairy pas de deux with National Ballet of Canada company member, James Leja. Erin trained in Marseilles, France at Académie Méditerranéenne under the instruction of Thierry LeFloch and Mitou Manderon, former principal dancers of the Roland Petit Company de Marseilles. She has competed in the "International Concour de Grasses" and the "International Concour d'Aix en Provence" in which she placed 2nd for her Gamzatti variation and 2nd for a contemporary solo which she choreographed on herself. While in Marseilles, Erin also trained with the contemporary ballet company Ballet D'Europe, under the direction of Jean-Charles Gil. 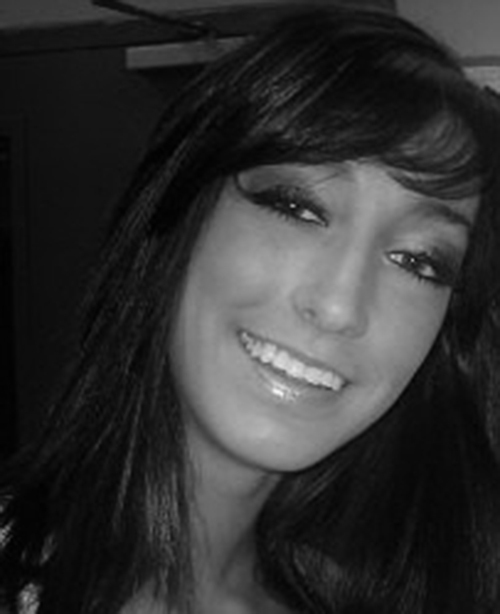 Erin intends to pursue a career in professional dance and is currently pursuing dance job opportunites in Canada. Erin continues to teach at PSB, Interplay and Bishop Strachan School. Faye Rauw hails from Humboldt, Saskatchewan. She has traveled extensively around the world dancing professionally, teaching workshops, performing and choreographing for various dance companies, as well as performing for Royal Caribbean Cruise lines. She is one of Canada’s high demand dance judges, teachers and choreographers, traveling as far as Australia to judge their National Dance Championships. Faye has had the pleasure of working with the likes of Marlon Wayans, Charo, Ben Vereen, as well as Rob Marshall and Catherine Zeta-Jones in the Oscar & Golden Globe winning movie, “CHICAGO”. She has also been captured as one of the video dancers in U2’s “Vertigo” tour and the CBC/BRAVO dance movie, “Roxanna” with Greta Hodgkinson from the National Ballet of Canada and Rex Harrington. Most recent, Faye can be seen in the new movie release of “Hairspray” with John Travolta, Michelle Pfeiffer and Queen Latifa. Faye’s acting credits have been seen on the TV series “MONK”, Walt Disney’s “The Sixth Man”, along with various commercials and Canadian feature films. Faye has been recognized on the entertainment TV show, ET Canada, for her accomplishments in the industry. Faye has choreographed for the NBA, AHL, CFL, Steve Nash Charity Classic, KRG Children’s Charity Gala, KING DAVID The Musical, the stage tour for CANADIAN THUNDER, the Canadian product launch for Brittney Spears fragrance, CURIOUS, CHIN Picnic and has choreographed for recording artist Kristine W.
Faye’s choreography has been seen on Western University Dance Team, Pride Toronto, ALI Entertainment and OIP Dance Company. Most recently, Faye choreographed the musical “Billy Bishop Goes to War” for the Souris Valley Theater Festival. Faye has been recognized as an ambassador for Lululemon athletic wear. 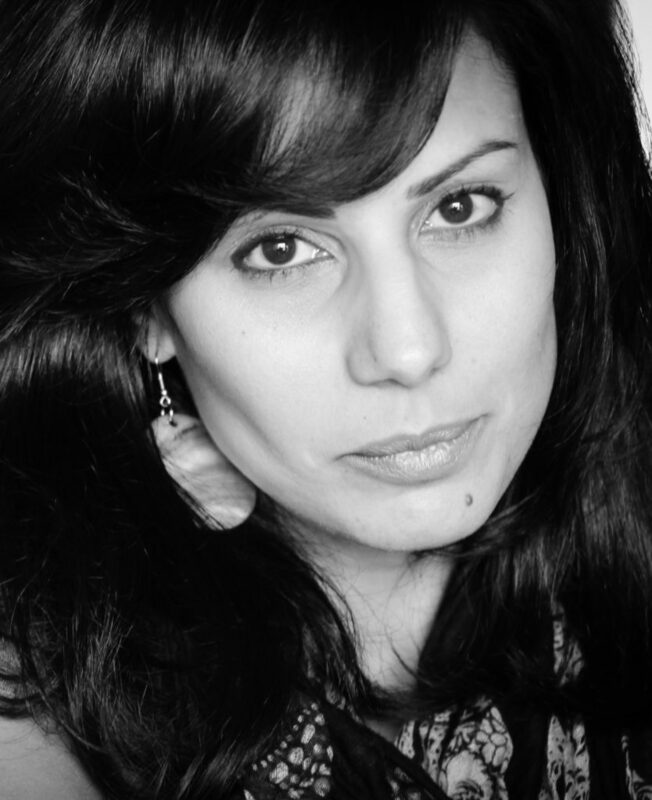 She teaches and choreographs at the Randolph Academy for the Performing Arts and recently, Faye started her own dance and choreographic workshop series titled Fayez1 Productions. Her passion to create and perform makes Faye a true inspiration to work with. Adam is an original ensemble member of the cast of Andrew Lloyd Webber's The Wizard of Oz, which just completed it's premiere North American tour. A successful competitive dancer, he found his love of musical theatre when cast as the youngest member of We Will Rock You (Mirvish). A career highlight was playing the principal dance role of Tadzio in the critically acclaimed Death in Venice (Canadian Opera Company) in the beautiful Four Seasons Centre in Toronto. Other theatre credits include: West Side Story (Vancouver Opera & Neptune), Mr. Mistoffelees in Cats (Rainbow Stage), 9 to 5: The Musical (Drayton), Peter Pan (Neptune). Screen credits: Disney's Camp Rock and Harriet the Spy: Blog Wars. Dance, stage and screen have given Adam many memorable experiences including assisting Mia Michaels, performing on New Year's Eve for millions and being "electrocuted" on the Carrie set. 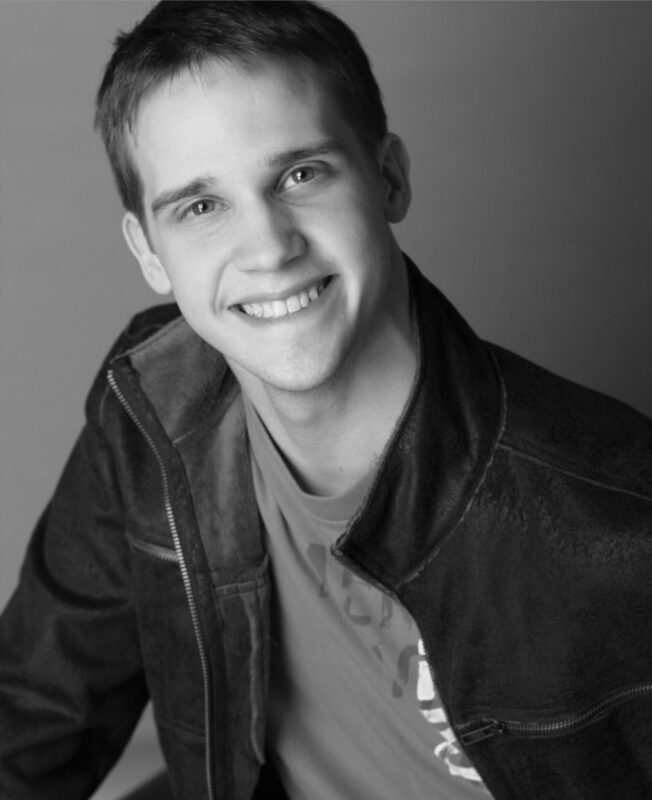 Adam has been honoured to teach and choreograph for many esteemed competitive studios and ballet academies in the GTA. While proud of all his students, he is particularly honoured that his solo contemporary choreography for Youth American Grand Prix won his dancer an invitation to YAGP finals in New York where she was offered a scholarship to Mercyhurst's prestigious ballet program. Other dancers he has choreographed and taught are currently attending the National Ballet School and preparing for professional careers in dance. As a competitor himself, Adam won many overall awards and was chosen to represent Dance Masters of America Chapter #38 as Mr. Teen Dance Canada. Dominique Tersigni is an emerging Toronto-based freelance artist. She started at Interplay as a competitive dancer, where she studied multiple styles of dance such as ballet, contemporary, jazz and improvisational techniques. While training at Interplay she was graced with many awards such as the Muskoka Ballet Galas Patricia Upcraft award and the Glenn Gilmour scholarship. Dominique also attended the CNE's Rising Star in 2015 and placed 2nd overall. After completing her high school diploma she began to explore the dance industry in Toronto, she took open classes at the top studios while learning from some of Toronto’s best choreographers like Alvin Collantes, Kelly Shaw, Cora Kozaris, Lauren Runions and Hanna Kiel. In July 2016 she attended Ignites summer intensive co-run by David Norsworthy and Kristen Carcone where she was able to perform work by Riley Sims. Dominique has worked with choreographers such as Kylie Thompson, Shawn Bracke, Christina Digiuseppe, Emily Law, Melissa Williams, Allain Lupien, and Jessica Ford in events such as Fever After Dark, Choreographers Ball, Industry Night, The Next Step TV show and the Parapan Am opening ceremonies. Most recently Dominique attended ProArte Danza's Summer intensive where she performed work by Tori Mehaffey and Robert Glumbek. Currently, Dominique trains with the Chimera Projects Company B run by Malgorzata Nowacka. Christina started dancing at the age of 4. She joined PSB Dance Academy’s jazz and ballet programs at the age of 8, and later was accepted into the Profile Dance Company. While studying various dance forms as a member of Profile, Christina won many awards, both as a solo dancer and in group performances, including Best Senior stage performer (IDC), High Entertainment Award (Much Too Crowded). She also demonstrated her exceptional talent as a choreographer when she won the first two choreographic workshops. She was then invited to set pieces on the Company as a guest choreographer. Christina’s pieces won several awards, such as Overall Senior Group at the Muskoka Ballet Gala (Beautiful, Going Under, Empty Chairs, Hagamos, and Forgive Forget). Christina has also won best senior choreography/High score awards at Sur La Pointe/Dance Connection (Empty Chairs, Hagamos, Forgive Forget, Blurry and A Day without Rain). Christina’s choreography also includes Paint it Black, Feelin Good, Hype, Everytime, O Fortuna and All that Jazz. Although she left the Profile Dance Company as a performer in 2005, she is now a Jazz instructor for both the recreational and intensive jazz programs at PSB. She continues to choreograph pieces in various dance forms (Jazz, Lyrical, Modern, Contemporary) for the Profile Dance Company. Aside from her work with PSB, Christina has taught for the ACE after school program in Scarborough, and at the Kinetics School of Baton and Dance. Christina is a University of Toronto and Centennial College graduate and is currently working in the pharmaceutical field. Christina looks forward to working with PSB for many years to come.